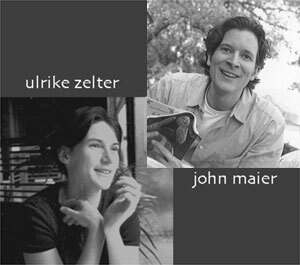 Maier + Zelter Architects was started in 2002. The two principals John Maier and Ulrike Zelter are a husband and wife team. Their first project together, a renovation of a duplex in Austin, Texas, was chosen to be on the 2003 American Institute of Architects homes tour. The emphasis of their firm is on creative problem solving, no matter how large or small the project , whether it is residential, commercial, or industrial. They are interested in finding specific solutions for specific problems, places, and people. John Maier is a registered Architect in the state of Oregon. He received his Bachelors of Architecture with honors from the University of Texas at Austin in 1996. He has worked for several well known firms in the United States and abroad including: Christopher Alexander (Berkley, CA), Behnisch + Partner (Stuttgart, Germany), Moore/Andersson Architects (Austin, TX), and Paul Lamb Architects (Austin, Texas). He also helped Peter Gluck Architects (New York, NY) construct a 9,500 s.f. house in Westlake Hills, Texas. Ulrike Zelter received her Dipl.- Ing. Architect from the Fachhochschule Bochum in Germany in 1995. She is a registered German Architect. Before starting Maier + Zelter, she gained experience in a variety of firms, doing both large and small scale projects, in Germany, France and the United States. While working for Alten Architekten in Berlin, she was project architect for the New Zealand Ambassador Residence and worked on the design of a new grammar school in Berlin, Waltersdorffer Chaussee. Since moving to Austin, she has been in charge of the prototype for a new Frost Bank branch building, an advertising agency, a wastewater treatment plant, and a large residential home.